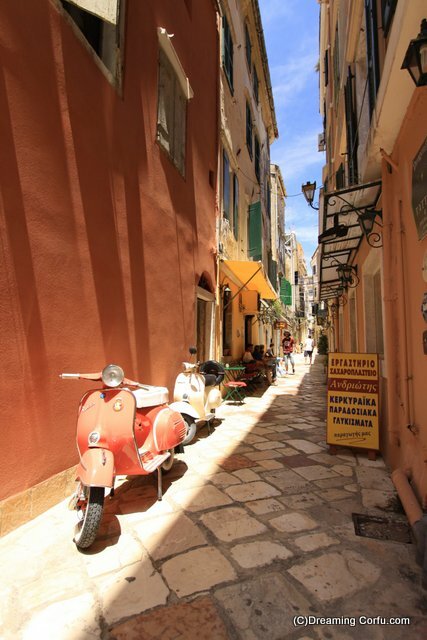 Corfu Town, known in Modern Greek as Kerkyra, is the largest and most important town on the island and definitely worth visiting while you are here. 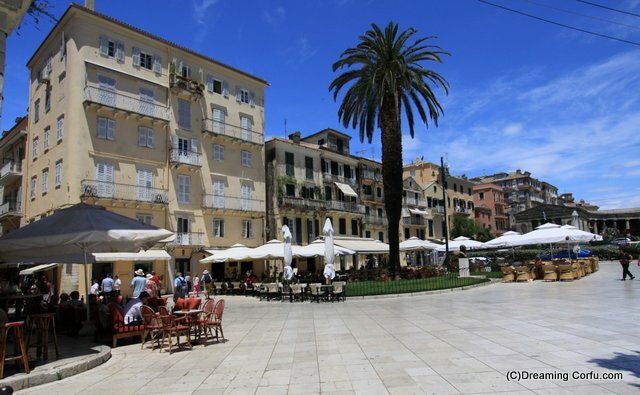 The Venetians controlled the island for several centuries and their influence can be seen all around – in some places you might feel you are in Italy, but Corfu town also has an interesting mixture of the old and the modern thanks too to the French and Imperial Brits. You will find Corfu town to be made up of distinct areas; there are several districts inside the historic centre, the Jewish quarter, and the modern new town. 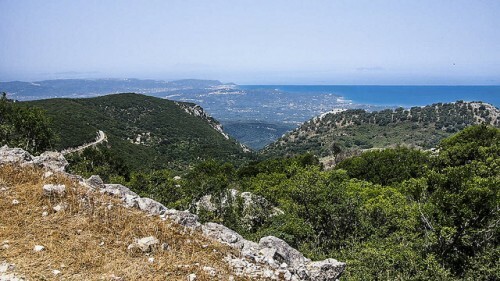 The historic quarter is enclosed by the fortresses, and consists of several smaller districts such as Campiello, Kofineta and Ayii Apostoli. 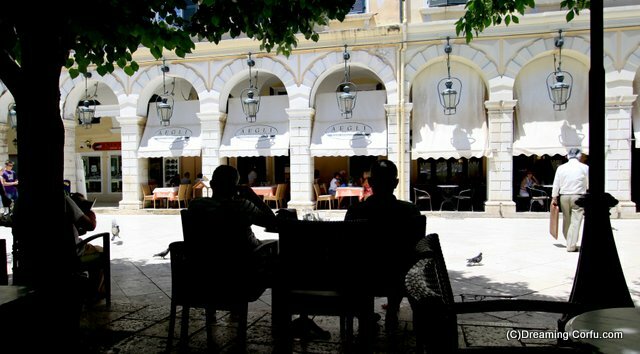 The Liston was once a promenade used by the nobility, and is now the perfect place to sit and enjoy a coffee over a spot of people watching. 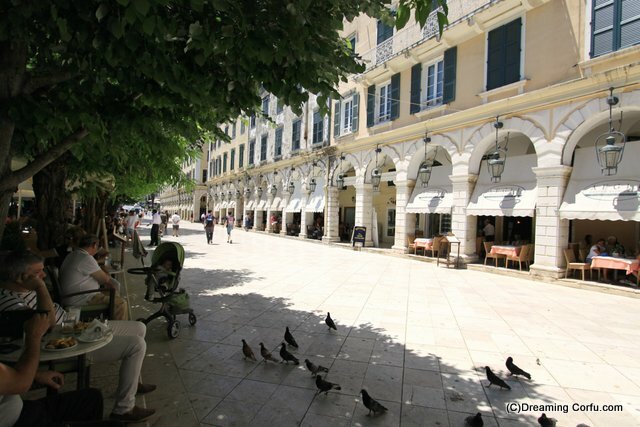 Then next to the Neo Frourio (the “New Citadel” fortifications at the northeast of the city) lie the remnants of the old Jewish quarter in a maze of narrow streets, The square of the Esplanade is also called Spinada, and is the central square. 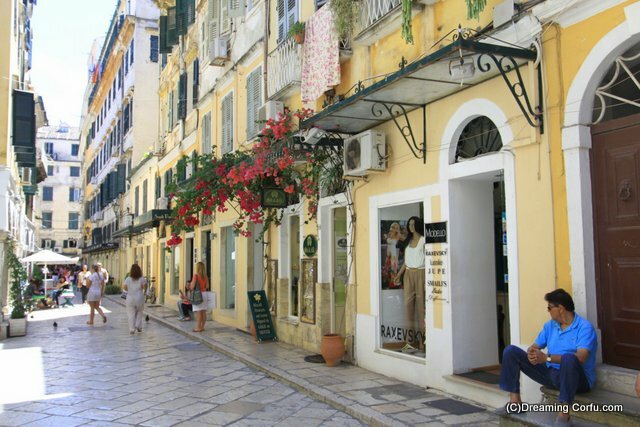 Finally, the “New Town” has grown out from the historic centre and represents the daily life of modern Corfu, dotted with cosmopolitan boutiques, shops and cafés. The Liston overlooks the Spinada and is a key place to be seen hanging out. 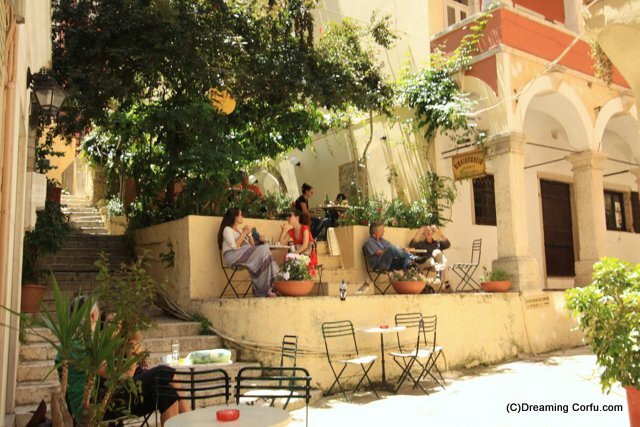 It was built during the French occupation and its lovely arched terrace takes its influence from the Rue de Rivioli in Paris. 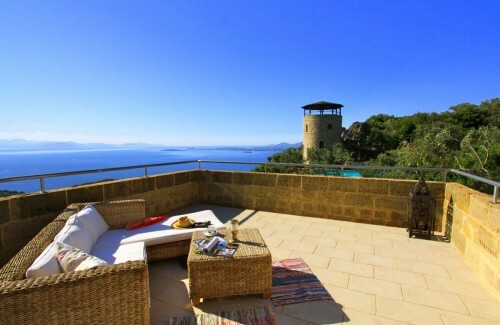 It is generally viewed as the most sophisticated location on the island. The New Fortress (so named because it was built thirty years after the Old Fortress) is situated on the port and looks particularly impressive when viewed from the sea. It was built in the late 1500s by the Venetians and took them 13 years. Additional buildings and tunnels were later added by the British. Entrance to the public is via the stone steps on the far side of the square. 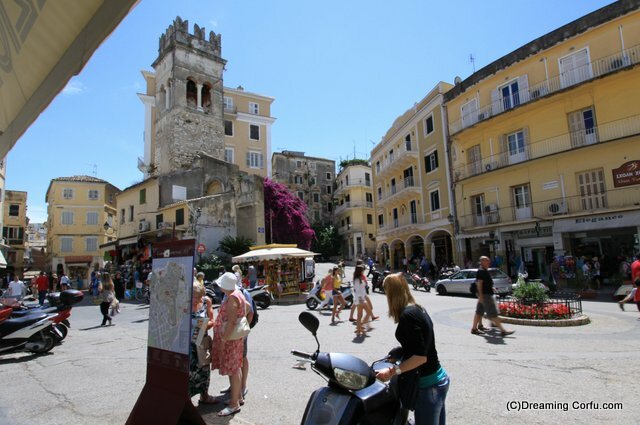 The Old Fortress is a very prominent visual spectacle of both the town and island of Corfu. It can be accessed via a single passageway on the Eastern end of the Esplanade. 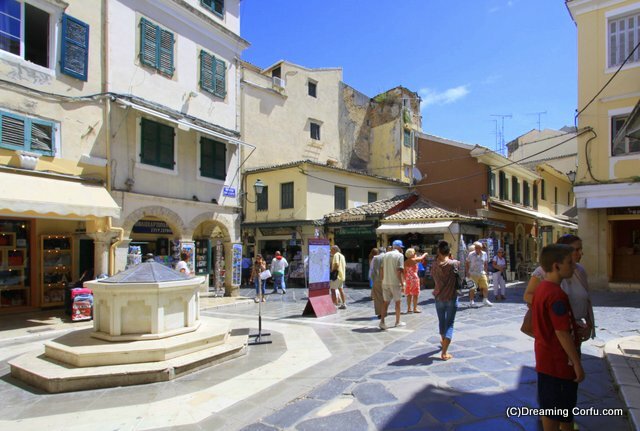 The most famous landmark of Corfu Town is probably the red dome of Aghios Spyridion Church. The Church is also home to the casket containing the preserved remains of the Island’s patron saint, Saint Spyridon. It is open daily until 2pm. Admissions are free however it is best not to visit during a service. If grabbing a bite to eat, try Aegli Restaurant at Liston, the “oldest in town”. Except don’t ask how old it is, as no one, not even the waiters, seem to know. Or try the traditional Ouzeri called “Oaymnia” right next door, – for a lighter Meze snack and where you can also find Corfiot Real Ale. 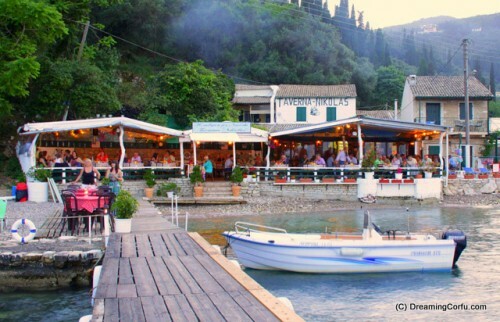 The Liston is home to some of the most chic restaurants and cafes on the island. 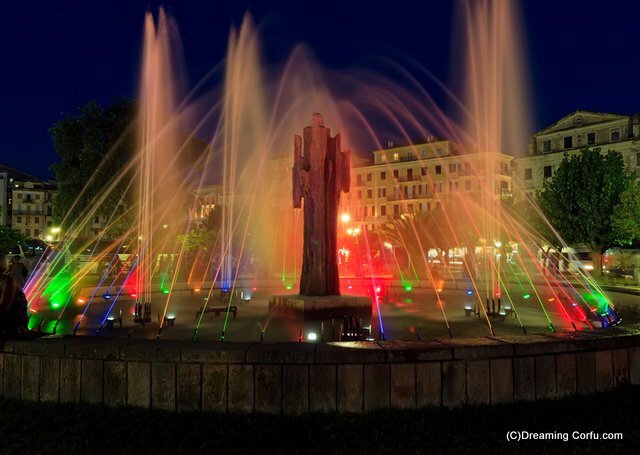 Other particularly good places to find food are on the Town Hall Square, The Bougainvilla Restaurant is popular and in Guilford Street where you will find more sophisticated Italian and International restaurants such as Del Sole, La Cucina and Gardino citta. The stalls on Garitsa Bay are also worth a try. Whilst you’re visiting the town, try the Greek version of Gingerbeer, a British style drink that the locals keenly adopted as a favourite non alcoholic refreshment. 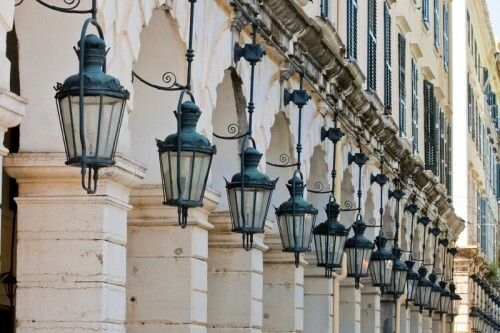 Anyone visiting Corfu Town is sure to enjoy what the town has to offer, as well as being able to see some of Corfu’s most beautiful architecture and experience daily life in style. A lovely diversion to take during your holiday at Villa Del Cielo.